We recently sat down with Romee De Goriainoff, co-founder of the Experimental Cocktail Club, with locations in Paris, London, and New York City. Mr. De Goriainoff, our host at next month’s Turtleneck Club gathering in New York City, talks with us about entrepreneurship, Paris nightlife, travel, and (of course), cocktails. TC: We first came to know the ECC Chinatown when we met with your partner, Xavier Padovani, and one of the world’s most dangerous men, David Piper, in London. From that moment we have been very big fans of the magic you and your other partners (Olivier Bon and Pierre-Charles Cros) have been able to conjure from Paris to NYC. What specifically do you attribute to your continued success? People obviously love what you are doing. Mr. De Goriainoff: One of the first reasons is perhaps that we, Frenchmen, originally decided to import an eminently “anglo-saxon” product to France: the cocktail and its unique atmosphere. Also, I believe we’ve always tried to combine the best cocktails with very special music and uncompromising designed interior. That appealed to lots of people as it is actually often quite rare to find all this bundled into one place. TC: How can it be that lovely, dark cocktail bars were so conspicuously absent from the Paris scene before you decided to change that? Had Paris always been like that? Many people would assumes Paris is simply fantastic on all levels and always has been. TC: I read somewhere that you spent your weekends during university hunting for the best cocktail bars in New York City. Was the writing on the wall at that point? Did you know where you were headed professionally then? 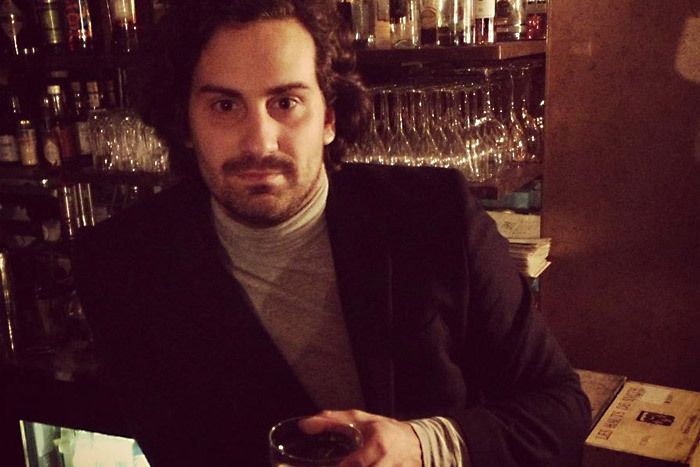 Mr. De Goriainoff: We fell in love with cocktail while hunting for the best NYC joints. Upon our return to Paris, we had a revelation: let’s open the first proper cocktail bar in Paris. TC: What is the number one takeaway that you have from your experience opening your businesses in England, France and the United States? Mr. De Goriainoff: Parisians drink moderately, Brits drink crazily, and New Yorkers drink slowly! TC: What is it about Turtleneck Club that you find worthwhile? Mr. De Goriainoff: In this day and age, it’s trendy to do something new & shiny. Like the Turtleneck Club, we wanted to turn back to the classics and celebrate them. I think we’re somewhat the same in that – we honour the timeless, the unexpected and always the unusual. And always with great taste. TC: What is your best advice for entrepreneurs trying to break into the bar or restaurant business? Perhaps those that don’t have access to much capital, for instance. That seems to be quite a common story. Should it even be attempted if one is serious? Mr. De Goriainoff: We’ve started with almost no capital at all. Only 30,000 EUR! Of course it is worth trying! If one launches a cocktail bar that has interesting design, good music and great cocktails, then this bar is very likely to be a success. TC: There was a time when flying commercial wasn’t, for the most part, a horrific experience. Which is your preferred airline and how do you think airlines could change for the better? Mr. De Goriainoff: I probably fly an average of 10 hours a week, and I can confirm: flying coach is pretty tough. Though it is much cheaper that is used to be. My favorite airline is BA, hence I am trying to only fly from London. Airlines could actually lower the price of its business class for frequent flyers. I mean it is ridiculous. £6000 for a London-NYC ? TC: Who are your heroes in business? Do you have any? TC: I read that you will soon start serving food at the ECC in New York City. What will be on the menu? Mr. De Goriainoff: We are working closely with the NYC restaurant “Fat Radish”. They are good friends and we are elaborating a simple but special menu. We liked the idea that a French cocktail bar in New York serves British foods prepared by Brits in NYC. One thing we hate is what I call “gastronomic chauvinism”. TC: Do you have plans to open yet more bars and restaurants? If so, would you care to tell us about anything in particular? Mr. De Goriainoff: Yes, we should open ECC Mexico DF very beginning of 2013. It is really an outstanding city. Can’t wait. TC: What’s your favorite cocktail at the moment? Mr. De Goriainoff: Mancora. It is made at the ECC in NYC by Nicolas de Soto.